TALK about a ‘light bulb moment’. A dicky brake light in my trusty old Saab led me, the other day, to a couple of moments of PR illumination. It resulted in a trip to my local tyre and exhaust garage at McDonald Road, Edinburgh, an outlet I’ve visited a dozen times over the past decade. I’ve never had any complaint about the service I’ve received from Kwik-Fit. Yet on every visit, I’ve walked in with the sneaking suspicion that I’m about to be mugged: to enter with a minor problem and leave with a whopping bill for four new tyres, a replacement exhaust and a tracking realignment. While I fondly remember those adverts of yore, featuring cheery chappies leaping to the strains of ‘You can’t get better than a Kwik-Fit fitter’, it wasn’t the warm, fuzzy advertising jingle that had coloured my subconscious. No doubt a reflection of my newspaper days in the 1990s, my memory was of complaints. So, let me take this opportunity to balance those cosmic scales just a little bit – and this should be music to the ears of Kwik-Fit management, as well as whoever is doing the company’s PR. My latest experience with the repair chain was entirely positive. The guy who dealt with my initial call was polite, friendly and helpful. When I walked into the branch, he was handling a difficult phone call with the same aplomb and the type of patience saints are renowned for. Meanwhile, his colleague cheerfully found a spot for me to park up, before an oil-smeared garage cliché in trademark Kwik-Fit overalls start disassembling my motor. Later, I was given a clear explanation that the problem was electrical (not a faulty bulb) and was beyond the scope of his team to repair. I was shown some frayed wiring suspected of being the problem, then given the names of reputable auto electricians in the area. These were noted on the back of a business card, which is why I know the guy helping me was Gavin Shaw, the centre manager. Kudos to him and his team. In the world of PR, which more often than not involves chasing coverage in the mainstream media, it’s still easy to forget the power of humble word of mouth, despite the fact it has been turbo-charged by social media. Five years ago, I would have told a handful of people at most about my positive Kwik-Fit experience. How many will this post reach – ten? 100? 1,000? Do a quick Google search for ‘Kwik-Fit’ then refine the search by ‘blogs’ and by ‘news’. The tapestry of stories being published about the company is both positive and less so. Gratifyingly for all of us in PR, the search findings are liberally peppered by traditional media-type headlines. There’s no Eureka moment in recognising the rise of social media or the importance of search engines. Even the dawning realisation that traditional media is more relevant than ever (just not in printed format) is now pretty widely recognised. Nope. The light bulb that lit up for me was this: businesses have never needed professional PR advisers more than they do now. Yes, the media is fractured. Yes, having your reputation picked over on a daily basis by armchair critics with a web-powered megaphone is uncomfortable. In a world of online transparency, choosing to sit it out by flying beneath the radar is a fast-vanishing option. Businesses need to tell their stories well from the top down, while understanding (and responding to) what the world outside is saying about them. Nobody does that better than the PR sector. If my view doesn’t light your bulb, then read this Management Today article. It seems we PR people are taking over the world. You’ll get no complaints about that from me. Scott Douglas is a director of Holyrood PR. 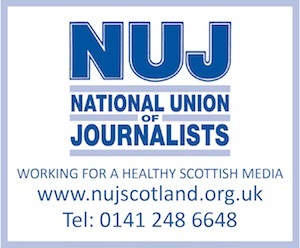 He is also the founder of Deadline News Agency and a former reporter with the Daily Record, The Journal and the Edinburgh Evening News.